TriState Thu E, Race 10 #7: Rico's Laredo . DODGE CALIBER, Birmingham, 01/30/2013, Evening, race 13, post #5. VENUS ESPINOSA, Derby Lane, 01/30/2013, Evening, race 6, post #6. RED PERSISTENCE, Tucson, 01/30/2013, Evening, race 5, post #5. REDROCK MIRROR, Tucson, 01/30/2013, Evening, race 11, post #5. Visit trackinfo.com for complete entries and program pages. .
Wheeling Wed A, Race 02 #8: San Tan Spoony . DODGE CALIBER, Birmingham, 01/28/2013, Afternoon, race 9 post #5. Result: 4-1-7- . CRAIGIE I AM JAK, Mardi Gras, 01/28/2013, Evening, race 3 post #6. Result: 1-8-7- . BACKWOOD CODY, Mardi Gras, 01/28/2013, Evening, race 7 post #5. Result: 6-7-2- . BELLA DA BULL, Southland, 01/28/2013, T, race 20 post #1. Result: 2-6-3- . TWISTING TWISTER, Derby Lane, 01/28/2013, Afternoon, race 6 post #3. Result: 7-5-2- . GABLE GO SHAUNEE, Derby Lane, 01/28/2013, Afternoon, race 12 post #6. Result: 2-5-4- . GAME PLANE, Tucson, 01/28/2013, Evening, race 9 post #3. Result: 2-8-7- . JET FORCE, Bluffs Run, 01/27/2013, Afternoon, race 2 post #4. Result: 2-5-4- . BRAZO BRIAN, Mardi Gras, 01/27/2013, Afternoon, race 3 post #1. Result: 8-1-4- . CUSTOM TRENT, Palm Beach, 01/27/2013, Afternoon, race 6 post #5. Result: 4-8-6- . RK'S CONK GONK, Palm Beach, 01/27/2013, Afternoon, race 14 post #5. Result: 6-1-3- . FLYING KILLERBEE, Wheeling, 01/27/2013, Afternoon, race 8 post #7. Result: 1-2-3- . BELLA CUBANARO, Wheeling, 01/27/2013, Afternoon, race 12 post #7. Result: 2-1-8- . BELLA KAYAKER, Wheeling, 01/27/2013, Afternoon, race 12 post #6. Result: 2-1-8- . DODGE CALIBER, Birmingham, 01/28/2013, Afternoon, race 9, post #5. CRAIGIE I AM JAK, Mardi Gras, 01/28/2013, Evening, race 3, post #6. BACKWOOD CODY, Mardi Gras, 01/28/2013, Evening, race 7, post #5. BELLA DA BULL, Southland, 01/28/2013, T, race 20, post #1. TWISTING TWISTER, Derby Lane, 01/28/2013, Afternoon, race 6, post #3. GABLE GO SHAUNEE, Derby Lane, 01/28/2013, Afternoon, race 12, post #6. GAME PLANE, Tucson, 01/28/2013, Evening, race 9, post #3. Tucson Mon E, Race 08 #7: Big A Milkyway . DODGE CALIBER, Birmingham, 01/26/2013, Afternoon, race 12 post #5. TROUGELZ, Southland, 01/26/2013, Afternoon, race 15 post #3. SHANETT, Southland, 01/26/2013, Evening, race 6 post #8. KIOWA STARZ SAGE, Sanford Orlando, 01/26/2013, Afternoon, race 9 post #7. JW TITLEIST, Derby Lane, 01/26/2013, Afternoon, race 6 post #6. UMR HYDRO, Tri-State, 01/26/2013, Evening, race 9 post #8. MAGIC TORPEDO, Tri-State, 01/26/2013, Evening, race 11 post #3. RED PERSISTENCE, Tucson, 01/26/2013, Evening, race 9 post #4. JET FORCE, Bluffs Run, 01/27/2013, Afternoon, race 2, post #4. BRAZO BRIAN, Mardi Gras, 01/27/2013, Afternoon, race 3, post #1. CUSTOM TRENT, Palm Beach, 01/27/2013, Afternoon, race 6, post #5. RK'S CONK GONK, Palm Beach, 01/27/2013, Afternoon, race 14, post #5. FLYING KILLERBEE, Wheeling, 01/27/2013, Afternoon, race 8, post #7. BELLA CUBANARO, Wheeling, 01/27/2013, Afternoon, race 12, post #7. BELLA KAYAKER, Wheeling, 01/27/2013, Afternoon, race 12, post #6. TriState Sun E, Race 05 #5: Stunning Sting . About Me: Fisty is a beautiful black brindle girl who has come to IAGA after her duties as a momma dog were over. About Me: Future is a very sweet, friendly, brood momma who is just a doll! She is just a super nice momma dog looking for a home of her own. About Me: Harvest is a young, active, friendly girl. She's currently being fostered with 3 greyhounds in a working home. She's the second in her litter at IAGA. DLT EXTRACTOR, Gulf Greyhound, 01/25/2013, Evening, race 5 post #7. VENUS ESPINOSA, Derby Lane, 01/25/2013, Evening, race 10 post #6. GAME PLANE, Tucson, 01/25/2013, Evening, race 8 post #5. WW'S RISKY RIDER, Wheeling, 01/25/2013, Evening, race 6 post #4. DODGE CALIBER, Birmingham, 01/26/2013, Afternoon, race 12, post #5. TROUGELZ, Southland, 01/26/2013, Afternoon, race 15, post #3. SHANETT, Southland, 01/26/2013, Evening, race 6, post #8. KIOWA STARZ SAGE, Sanford Orlando, 01/26/2013, Afternoon, race 9, post #7. JW TITLEIST, Derby Lane, 01/26/2013, Afternoon, race 6, post #6. UMR HYDRO, Tri-State, 01/26/2013, Evening, race 9, post #8. MAGIC TORPEDO, Tri-State, 01/26/2013, Evening, race 11, post #3. RED PERSISTENCE, Tucson, 01/26/2013, Evening, race 9, post #4. Randy's Dog Dandy's for Sunday,1/27, Tri State. easy by setting-up an account today at Trackinfo.com. 91 percent PAYBACK on Win, Place and Show. We go live at 7 pm Eastern. RACE 1, 7-1-2-3, WINTA BLUE MOON, Set-up at break by the 6 and 8. 7 AND 2 on the Daily Double for you Races 1 and 2. RACE 2, 2-6-7-5, SIMPLE SASHA, Grade drop, recent win at this Post and Grade. RACE 3, 4-6-2-7, DECO DEGRATE LEE, 3 goes inside, 5 goes outside. RACE 4, 6-1-5-8, SE'S SOFTBUTFIRM, Dubuque dog with the best rush in the Race. RACE 5, 7-2-8-6, RWC MAD MYRTLE, Best outside break in the Race. RACE 6, 5-1-6-4, M'S KRAZY ADDIE, Wheeling Winner with the best break in Race. RACE 7, 7-5-2-8, RICO'S AMARILLO, Best outside break and rush in the Race. RACE 8, 3-4-1-7, SHAK'S ROCKET, To rush like a rocket for an 8th win. RACE 9, 1-5-2-4, USS ROCKET MAN, To go 8 for 8 in the money. RACE 10, 5-6-1-8, COACH QUINCY, Grade "A" hound set-up by the 4 and 6. RACE 11, 4-2-3-1, MAC'S MANDRILL, 3 goes inside, 5 goes outside. RACE 12, 8-5-2-1, MAC'S STAR GAZER, Loves the outside, 7 slashes to the rail. RACE 13, 8-4-1-3, SUGARPLUM SUNDAY, Sweet break on the outside to win. RACE 14, 3-8-5-6, GIRLY SUE, Set-up at break by the 2 and the 4. RACE 15, 5-7-4-2, WHERE'S MY TURN, To turn it on at break for a 26th win. win by setting-up an account today at Trackinfo.com. on each of 15 Big Ones. We go live at 1 pm Eastern. RACE 1, 2-7-5-8, BLACKJACK STING, Set-up to rush by the 1 and 3. 2 AND 2 on the Daily Double for you Races 1 and 2. RACE 2, 2-7-5-3, ATASCOCITA ELI, Grade dropper puppy popper. RACE 3, 8-1-5-3, O YA AUNT BEA, Set-up by 7 slashing inside, Rader Racing. RACE 4, 2-4-5-1, PALM CITY PATTON, Best inside rush for the Super Sprint. RACE 5, 4-1-8-6, LONGO, Grade drop, rush hard to beat from St. Pete. RACE 6, 4-5-7-6, GOLDEN STAR, Southland Star to score 6th win in 7 Races. RACE 7, 3-6-4-1, WWW AND WHY NOT, Grade "A" hound drops down to win. RACE 8, 1-6-4-5, LEE LAWSON, Triple Grade drop, set-up at break by the 2. RACE 9, 6-1-5-7, CBJ COCOA, Best rush in Race to go 8 for 8 in the money. THE BEST DEAL IN RACING, $2,500.00 Guarantee on the Pick 4, 6-8-6-3. RACE 10, 8-1-6-5, RUSTY'S GIRL, Grade "A" hound drops way down to win. RACE 11, 6-5-8-2, ATASCOCITA BYRON, Grade drop, set-up by 5 and 7. RACE 12, 3-8-4-7, FLYING NORMA, Set-up to rush by the 2 and 4. RACE 13, 5-6-2-3, SAN TAN RE LOAD, Double Grade drop, recent win at "D". 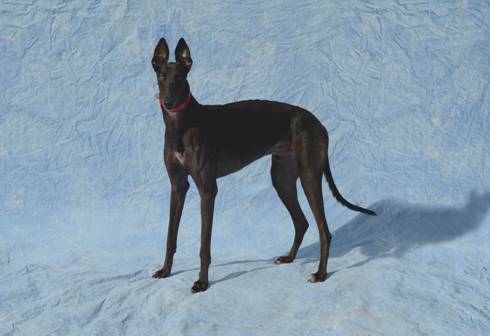 RACE 14, 3-5-6-2, ATASCOCITA HENRI, The Puppy Stakes Champ, 29.42. RACE 15, 6-1-4-7, PALM CITY PABLO, Set-up to close by the 5 and 7. DLT EXTRACTOR, Gulf Greyhound, 01/25/2013, Evening, race 5, post #7. VENUS ESPINOSA, Derby Lane, 01/25/2013, Evening, race 10, post #6. GAME PLANE, Tucson, 01/25/2013, Evening, race 8, post #5. WW'S RISKY RIDER, Wheeling, 01/25/2013, Evening, race 6, post #4. DODGE CALIBER, Birmingham, 01/23/2013, Afternoon, race 12 post #6. Result: 3-1-2- . BELLA DA BULL, Southland, 01/23/2013, T, race 20 post #1. Result: 2-7-5- . GABLE GO SHAUNEE, Derby Lane, 01/23/2013, Afternoon, race 10 post #4. Result: 8-1-4- . JW TITLEIST, Derby Lane, 01/23/2013, Evening, race 10 post #3. Result: 2-6-3- . TWISTING TWISTER, Derby Lane, 01/23/2013, Evening, race 12 post #8. Result: 1-8-3- . KB'S HASLET, Wheeling, 01/23/2013, Afternoon, race 15 post #8. Result: 2-1-8- . Derby Lane Thu E, Race 07 #4: A Bar Highfill . DODGE CALIBER, Birmingham, 01/23/2013, Afternoon, race 12, post #6. BELLA DA BULL, Southland, 01/23/2013, T, race 20, post #1. GABLE GO SHAUNEE, Derby Lane, 01/23/2013, Afternoon, race 10, post #4. JW TITLEIST, Derby Lane, 01/23/2013, Evening, race 10, post #3. TWISTING TWISTER, Derby Lane, 01/23/2013, Evening, race 12, post #8. KB'S HASLET, Wheeling, 01/23/2013, Afternoon, race 15, post #8. It's A Grey Area Adoptables! 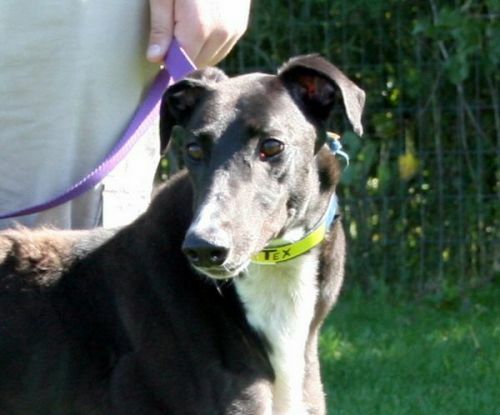 The following are the greyhounds that we currently have available for adoption. If you click on the racing name of a greyhound, it will take you to the dog's pedigree and racing history. About Me: Guard is a cute black boy who is easy going. He's an average size boy. Tucson Wed E, Race 02 #8: Taps Mad Max . DODGE CALIBER, Birmingham, 01/21/2013, Afternoon, race 7 post #2. Result: 8-5-1- . BRAZO BRIAN, Mardi Gras, 01/21/2013, Evening, race 9 post #7. Result: 7-8-6- . BACKWOOD CODY, Mardi Gras, 01/21/2013, S, race 2 post #2. CRAIGIE I AM JAK, Mardi Gras, 01/21/2013, S, race 2 post #6. MAGIC TEMPURA, Orange Park, 01/21/2013, Evening, race 9 post #8. Result: 2-4-5- . CUSTOM TRENT, Palm Beach, 01/21/2013, Afternoon, race 12 post #2. Result: 8-2-3- . VENUS ESPINOSA, Derby Lane, 01/21/2013, Afternoon, race 10 post #2. Result: 8-5-1- . GAME PLANE, Tucson, 01/21/2013, Evening, race 8 post #3. Result: 7-2-3- . RED PERSISTENCE, Tucson, 01/21/2013, Evening, race 9 post #2. Result: 1-2-7- . Derby Lane Tue E, Race 13 #1: Ja's Ebon Gold . JET FORCE, Bluffs Run, 01/20/2013, Afternoon, race 1 post #5. Result: 4-3-5- . GMC DIANE SAWYER, Mardi Gras, 01/20/2013, Evening, race 3 post #5. Result: 4-3-8- . UHAUL MUFFIN, Mardi Gras, 01/20/2013, Evening, race 3 post #7. Result: 4-3-8- . RK'S CONK GONK, Palm Beach, 01/20/2013, Afternoon, race 14 post #7. Result: 8-6-7- . MAGIC TORPEDO, Tri-State, 01/20/2013, Evening, race 7 post #6. Result: 3-8-5- . FLYING KILLERBEE, Wheeling, 01/20/2013, Afternoon, race 14 post #7. Result: 8-2-6- . BELLA CUBANARO, Wheeling, 01/20/2013, Afternoon, race 15 post #5. Result: 1-8-2- . BELLA KAYAKER, Wheeling, 01/20/2013, Afternoon, race 15 post #2. Result: 1-8-2- . DODGE CALIBER, Birmingham, 01/21/2013, Afternoon, race 7, post #2. BRAZO BRIAN, Mardi Gras, 01/21/2013, Evening, race 9, post #7. BACKWOOD CODY, Mardi Gras, 01/21/2013, S, race 2, post #2. CRAIGIE I AM JAK, Mardi Gras, 01/21/2013, S, race 2, post #6. MAGIC TEMPURA, Orange Park, 01/21/2013, Evening, race 9, post #8. CUSTOM TRENT, Palm Beach, 01/21/2013, Afternoon, race 12, post #2. VENUS ESPINOSA, Derby Lane, 01/21/2013, Afternoon, race 10, post #2. GAME PLANE, Tucson, 01/21/2013, Evening, race 8, post #3. RED PERSISTENCE, Tucson, 01/21/2013, Evening, race 9, post #2. Wheeling Mon A, Race 04 #5: Kiowa Super Sis . DLT EXTRACTOR, Gulf Greyhound, 01/19/2013, Evening, race 9 post #1. KIOWA STARZ SAGE, Sanford Orlando, 01/19/2013, Afternoon, race 15 post #5. TWISTING TWISTER, Derby Lane, 01/19/2013, Afternoon, race 10 post #3. JW TITLEIST, Derby Lane, 01/19/2013, Evening, race 10 post #8. WW'S RISKY RIDER, Wheeling, 01/19/2013, Evening, race 8 post #1. JET FORCE, Bluffs Run, 01/20/2013, Afternoon, race 1, post #5. GMC DIANE SAWYER, Mardi Gras, 01/20/2013, Evening, race 3, post #5. UHAUL MUFFIN, Mardi Gras, 01/20/2013, Evening, race 3, post #7. RK'S CONK GONK, Palm Beach, 01/20/2013, Afternoon, race 14, post #7. MAGIC TORPEDO, Tri-State, 01/20/2013, Evening, race 7, post #6. FLYING KILLERBEE, Wheeling, 01/20/2013, Afternoon, race 14, post #7. BELLA CUBANARO, Wheeling, 01/20/2013, Afternoon, race 15, post #5. BELLA KAYAKER, Wheeling, 01/20/2013, Afternoon, race 15, post #2. Wheeling Sun A, Race 11 #4: Amf Lex Luthor . DODGE CALIBER, Birmingham, 01/18/2013, Evening, race 10 post #3. BACKWOOD CODY, Mardi Gras, 01/18/2013, S, race 1 post #4. CRAIGIE I AM JAK, Mardi Gras, 01/18/2013, S, race 1 post #1. MAGIC TEMPURA, Orange Park, 01/18/2013, Evening, race 9 post #8. SHANETT, Southland, 01/18/2013, Evening, race 15 post #6. GABLE GO SHAUNEE, Derby Lane, 01/18/2013, Evening, race 10 post #6. GAME PLANE, Tucson, 01/18/2013, Evening, race 5 post #6. RED PERSISTENCE, Tucson, 01/18/2013, Evening, race 9 post #2. DLT EXTRACTOR, Gulf Greyhound, 01/19/2013, Evening, race 9, post #1. KIOWA STARZ SAGE, Sanford Orlando, 01/19/2013, Afternoon, race 15, post #5. TWISTING TWISTER, Derby Lane, 01/19/2013, Afternoon, race 10, post #3. JW TITLEIST, Derby Lane, 01/19/2013, Evening, race 10, post #8. WW'S RISKY RIDER, Wheeling, 01/19/2013, Evening, race 8, post #1. About Me: Adena is a petite black girl who has just arrived. We'll learn more about her once she recovers from her spay. About Me: Zoyi is a pretty red girl who recently turned 2. She's a little timid at first, but warms up quickly. UHAUL MUFFIN, Mardi Gras, 01/17/2013, Evening, race 4 post #8. Result: 7-6-2- . BELLA DA BULL, Southland, 01/17/2013, Evening, race 5 post #3. Result: 3-2-4- . BELLA INFRARED, Southland, 01/17/2013, Evening, race 15 post #6. Result: 6-4-2- . UHAUL MUFFIN, Mardi Gras, 01/17/2013, Evening, race 4, post #8. BELLA DA BULL, Southland, 01/17/2013, Evening, race 5, post #3. BELLA INFRARED, Southland, 01/17/2013, Evening, race 15, post #6. Derby Lane Thu E, Race 04 #2: Ww's Wyvern . Derby Lane Thu E, Race 14 #3: Ctw Hot Potato . DODGE CALIBER, Birmingham, 01/15/2013, Evening, race 10 post #5. Result: 7-8-2- . WW'S RISKY RIDER, Wheeling, 01/15/2013, Afternoon, race 15 post #8. Result: 6-1-8- . PALM BEACH KENNEL CLUB FINAL 8 FOR $50,000 HE'S MY MAN CLASSIC SATURDAY AFTERNOON, JANUARY 19! STELLAR FIELD FOR PALM BEACH KENNEL CLUB $50,000 HE’S MY MAN CLASSIC CHAMPIONSHIP SATURDAY AFTERNOON, JANUARY 19! West Palm Beach, Fl. - The final eight Greyhounds have been determined for Saturday afternoon’s 33rd running of Palm Beach Kennel Club’s $50,000 He’s My Man Classic. With victories in last Sunday’s semifinals, 2012 $20,000 Gallagher / Kinnaird Puppy Stakes champion Atascocita Henri and the impressive youngster O Ya Purecountry have catapulted themselves as the top two point earners following four rounds of qualifying. Wheeling Wed A, Race 03 #4: Unleashed Blast . DODGE CALIBER, Birmingham, 01/15/2013, Evening, race 10, post #5. WW'S RISKY RIDER, Wheeling, 01/15/2013, Afternoon, race 15, post #8. GMC DIANE SAWYER, Mardi Gras, 01/14/2013, Evening, race 7 post #7. Result: 2-7-6- . KIOWA STARZ SAGE, Sanford Orlando, 01/14/2013, Afternoon, race 3 post #6. Result: 6-2-7- . SAND CLOUD, Derby Lane, 01/14/2013, Afternoon, race 6 post #5. Result: 2-8-3- . MAGIC TORPEDO, Tri-State, 01/14/2013, Evening, race 7 post #8. Result: 2-3-7- . GAME PLANE, Tucson, 01/14/2013, Evening, race 8 post #1. Result: 2-7-6- . RED PERSISTENCE, Tucson, 01/14/2013, Evening, race 11 post #7. Result: - - - . Derby Lane Tue E, Race 13 #8: Barb N Betty . GMC DIANE SAWYER, Mardi Gras, 01/14/2013, Evening, race 7, post #7. KIOWA STARZ SAGE, Sanford Orlando, 01/14/2013, Afternoon, race 3, post #6. SAND CLOUD, Derby Lane, 01/14/2013, Afternoon, race 6, post #5. MAGIC TORPEDO, Tri-State, 01/14/2013, Evening, race 7, post #8. GAME PLANE, Tucson, 01/14/2013, Evening, race 8, post #1. RED PERSISTENCE, Tucson, 01/14/2013, Evening, race 11, post #7. JET FORCE, Bluffs Run, 01/13/2013, Afternoon, race 10 post #2. Result: 5-8-3- . DLT EXTRACTOR, Gulf Greyhound, 01/13/2013, Afternoon, race 9 post #1. Result: 8-1-6- . BRAZO BRIAN, Mardi Gras, 01/13/2013, Evening, race 4 post #4. Result: 6-7-4- . MAGIC TEMPURA, Orange Park, 01/13/2013, Afternoon, race 15 post #3. Result: 4-6-2- . JUST TERRIFIC, Palm Beach, 01/13/2013, Afternoon, race 7 post #6. Result: 7-2-8- . RK'S CONK GONK, Palm Beach, 01/13/2013, Afternoon, race 12 post #3. Result: 2-4-8- . FLYING KILLERBEE, Wheeling, 01/13/2013, Afternoon, race 3 post #4. Result: 6-8-3- . BELLA KAYAKER, Wheeling, 01/13/2013, Afternoon, race 10 post #4. Result: 6-4-3- . Derby Lane Mon A, Race 12 #6: Jack's Wild News . CUSTOM TRENT, Palm Beach, 01/12/2013, Evening, race 10 post #5. SHANETT, Southland, 01/12/2013, Evening, race 11 post #1. GABLE GO SHAUNEE, Derby Lane, 01/12/2013, Evening, race 10 post #8. REDROCK MIRROR, Tucson, 01/12/2013, Evening, race 9 post #5. AMF EX PRESIDENT, Wheeling, 01/12/2013, Afternoon, race 7 post #1. BELLA CUBANARO, Wheeling, 01/12/2013, Afternoon, race 12 post #6. JET FORCE, Bluffs Run, 01/13/2013, Afternoon, race 10, post #2. DLT EXTRACTOR, Gulf Greyhound, 01/13/2013, Afternoon, race 9, post #1. BRAZO BRIAN, Mardi Gras, 01/13/2013, Evening, race 4, post #4. MAGIC TEMPURA, Orange Park, 01/13/2013, Afternoon, race 15, post #3. JUST TERRIFIC, Palm Beach, 01/13/2013, Afternoon, race 7, post #6. RK'S CONK GONK, Palm Beach, 01/13/2013, Afternoon, race 12, post #3. FLYING KILLERBEE, Wheeling, 01/13/2013, Afternoon, race 3, post #4. BELLA KAYAKER, Wheeling, 01/13/2013, Afternoon, race 10, post #4. Palm Beach Sun A, Race 14 #5: O Ya Billy Bob . DODGE CALIBER, Birmingham, 01/11/2013, Evening, race 13 post #4. BELLA DA BULL, Southland, 01/11/2013, Evening, race 5 post #3. BELLA INFRARED, Southland, 01/11/2013, Evening, race 16 post #1. JW TITLEIST, Derby Lane, 01/11/2013, Evening, race 12 post #7. FLYING LAHINCH, Wheeling, 01/11/2013, Afternoon, race 8 post #8. CUSTOM TRENT, Palm Beach, 01/12/2013, Evening, race 10, post #5. SHANETT, Southland, 01/12/2013, Evening, race 11, post #1. GABLE GO SHAUNEE, Derby Lane, 01/12/2013, Evening, race 10, post #8. REDROCK MIRROR, Tucson, 01/12/2013, Evening, race 9, post #5. AMF EX PRESIDENT, Wheeling, 01/12/2013, Afternoon, race 7, post #1. BELLA CUBANARO, Wheeling, 01/12/2013, Afternoon, race 12, post #6. 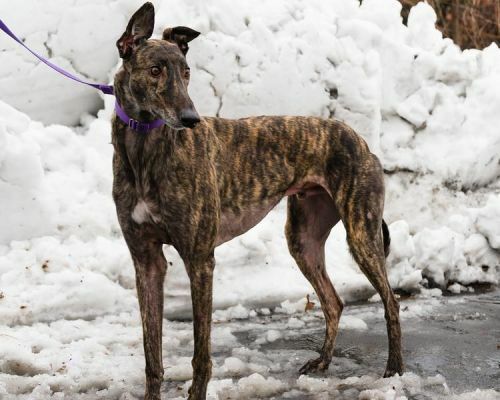 Lesley Tierney Ezkovich didn't set out to have her life overrun by greyhounds. It happened over time. "I never thought I'd be a crazy dog lady," she says, laughing. 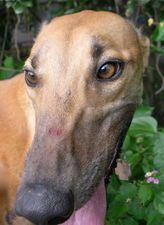 Lesley Tierney Ezkovich, 2012 Greyhound Adoption Person of the Year, plants a kiss on a beloved greyhound. Lesley was recently recognized for her tireless devotion to greyhounds by being named the 2012 Greyhound Adoption Person of the Year, a national award given by the American Greyhound Council. She was nominated by dozens of people and was chosen from among 16 candidates. "This award is about our group. It's not about me," she says. "We have wonderful volunteers who allow us to do what we do." The group she's referring to is It's A Grey Area Greyhound Adoption, a Louisiana nonprofit group Lesley started with Brittaney Spruill in January 2010. Their goal is to find loving homes for retired racing greyhounds. They also support greyhound racing. Both women had been part of other greyhound organizations for several years before deciding to start their own adoption group. Lesley, who is president of the group. "We're an avid pro-racing group." Greyhounds are a type of sighthound, known for their speed and agility when pursuing prey, and also known for their gentle, intelligent natures. The group started three years ago with a handful of volunteers gathered around Lesley's kitchen table in Pearl River. "Our goal was to place 10 or 12 dogs that year," she says. "We found homes for 90." When Lesley met her first greyhound in 2001, she knew little about the breed and nothing about greyhound racing. At the time, she was married to Tom Tierney, and she and her stepdaughter, Hailey Tierney, were at a pet store in Slidell, volunteering with the Pearl River County Animal Shelter. They were showing off adoptable pets brought from the shelter in Picayune, Miss. Sometime during the day, Hailey walked up to her stepmom, leading a greyhound almost as big as she was, and said, "This is the kind of dog I want." The dog was a black female named Tess, a former racer. "I said, 'Maybe we'll foster her,'" Lesley says. "And then we ended up adopting her. We failed miserably at fostering that first time." In the intervening years, Lesley has fostered more than 2,000 greyhounds and has owned dozens. She is a part-owner of several racers, and she takes in dogs she calls washouts -- those trained for racing that don't make the grade -- plus old dogs and sick dogs. Right now, she has at her house 11 of her own dogs, including two black washouts she calls "the magpies," and three Borzois, another breed of sighthound. She loves them all dearly. "I take the ones nobody else wants," she says. After she got to know greyhounds, Lesley started doing research on the racing industry, and she learned that the old way of doing things had ended and the bad reputation of "dogmen" was no longer deserved. "It used to be tough," she says. "Old dogmen didn't want to be bothered adopting out their dogs when they retired, and dogs were discarded." After she fell in love with greyhounds, she started traveling around the country visiting racetracks and greyhound farms and has found the dogs to be treated well. "Is there bad in racing? Sure. But the old stigma is no longer accurate," she says. "I haven't gotten one abused dog from the track." It's a Grey Area began with the help of Bill Merical, a dogman who gave her four of his retired greyhounds. "He trusted his dogs with me and gave me a check to get them vetted. That's how we started," Lesley says. "He's retired now, but he sent me every one of his racers." In 2010, she even had an active racing dog donated to her group. "He made $52.13 for us," she says, laughing. Lesley has had more than her share of difficulties in her personal life. She recently underwent several back surgeries after being injured in an automobile accident, and she is what she calls "a horrid diabetic." She was diagnosed with Type 1 diabetes at 19 and lives with an insulin pump. Her greatest ordeal by far, though, was losing her husband to colon cancer in 2008, when she was just 43. She remembers feeling so sad she didn't know if she could go on. "Then Paul, one of my greyhounds, jumped up on the bed and put his head in my lap, and I knew I had to," she says. "Without my stepkids and the dogs, I don't know how I would have made it." One of the people who nominated her for the national award wrote, "Lesley has an uncanny ability to match the right hound with the right family." That's because she asks a lot of questions: Is someone home during the day? Does the family have other dogs? Cats? Children? Grandchildren? Do they have a fenced-in yard? Do they want an inside dog? Although greyhounds love to go for walks and runs, they are not outdoor dogs. "They don't have any fat on their bodies to keep them warm," she explains. At her house, she has a 500-square-foot indoor kennel area, and she rotates her foster dogs into her living space so they learn what life will be like with a family. "They have to learn appropriate behavior," she says. People have misconceptions about greyhounds, and potential adopters need to know what they're really like. They are not hyper or rowdy, but they were born to run, so she recommends not letting them off-lead. "They're sighthounds who can see up to a mile away, and they will take off," she says. The dogs are used to being kenneled and can make good apartment dogs, and they're generally calm, low-maintenance and easy to train. "They're just amazing dogs," she says. In 2012, It's a Grey Area adopted out 151 of those amazing dogs. Lesley and her husband, Glen Ezkovich, will be the guests of the American Greyhound Council in Las Vegas at its annual meeting in February, where she will receive her award. Glen Ezkovich is welcomed home by a passel of greyhounds. The couple met in 2005, brought together by a greyhound, naturally. Glen adopted one of the dogs, Callie, from Lesley. She wanted to keep the dog for herself, but she had cats at the time, and Callie could not be trusted with them, so she had to give her up. Five years later, Lesley and Glen married. "Glen likes to joke that I married him so I could get her back," she says. To learn more about It's a Grey Area Adoption, go to www.itsagreyarea.com or www.facebook.com/itsagreyarea.